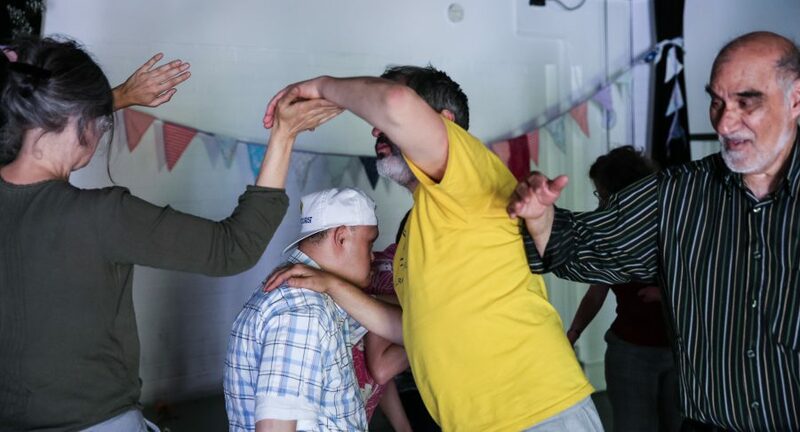 Ambient Jam is a unique dance improvisation programme arising from long term collaborations with adults and young people who have profound and multiple disabilities. 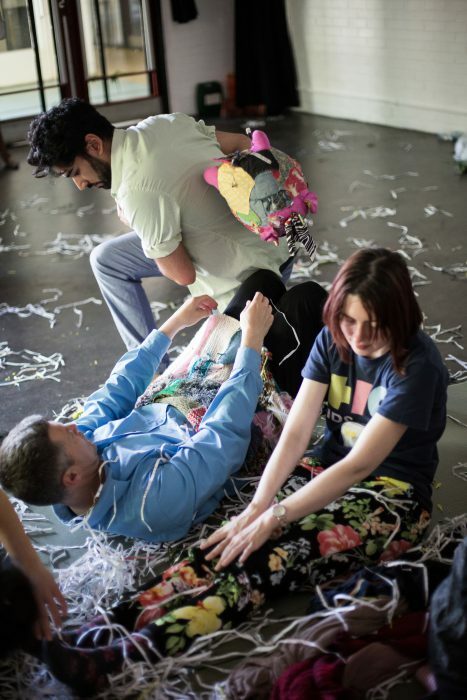 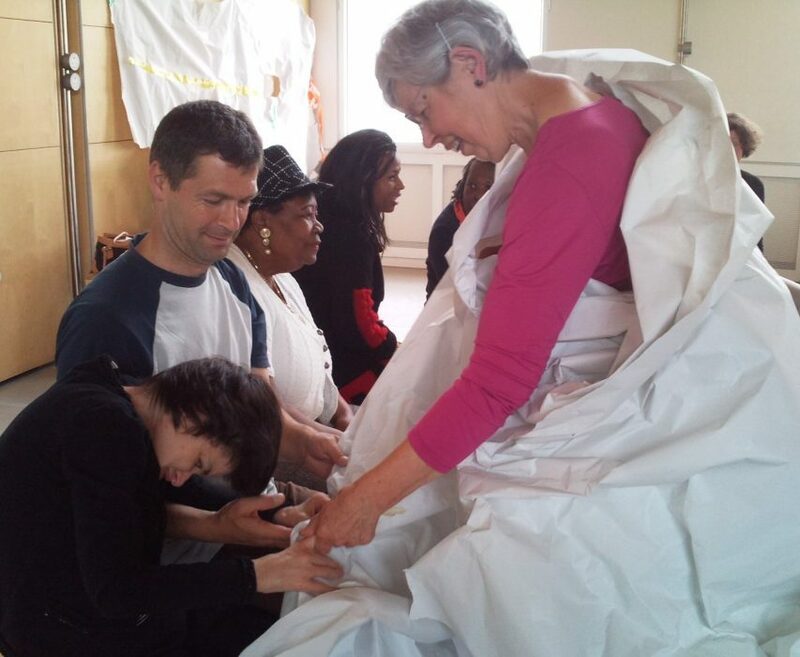 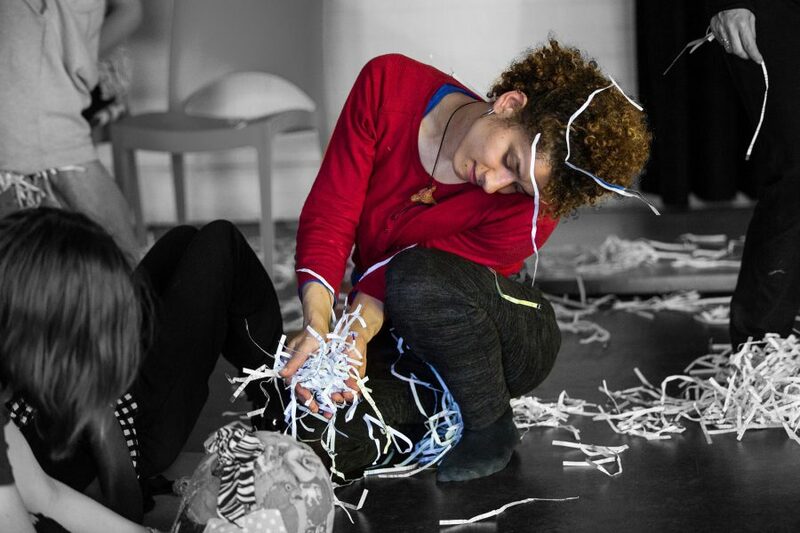 We explore movement and music with tactile sculpture twice a week at The Albany in Deptford. 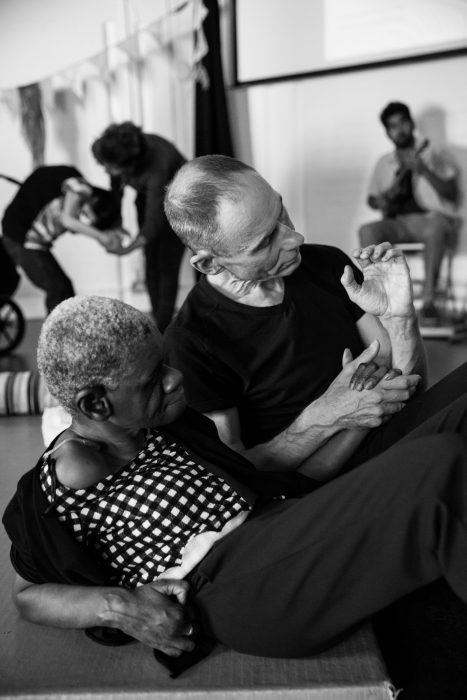 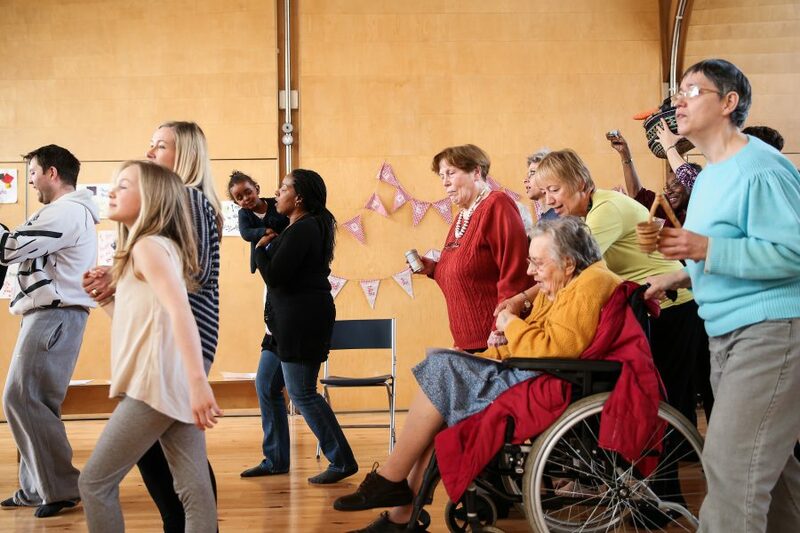 These improvisation sessions bring together members and volunteers with our team of dance artists, musicians and sculptors. 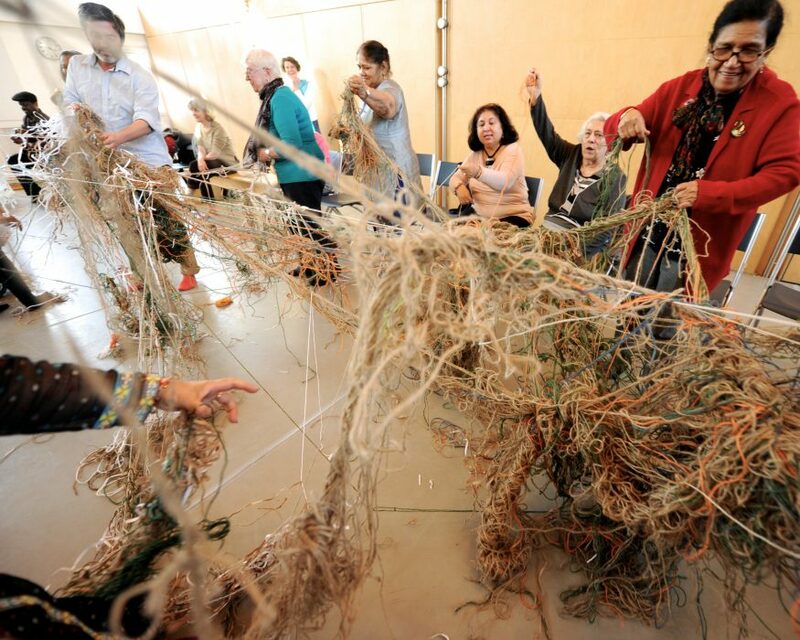 Entelechy Arts has been hosting Ambient Jam for over 25 years. 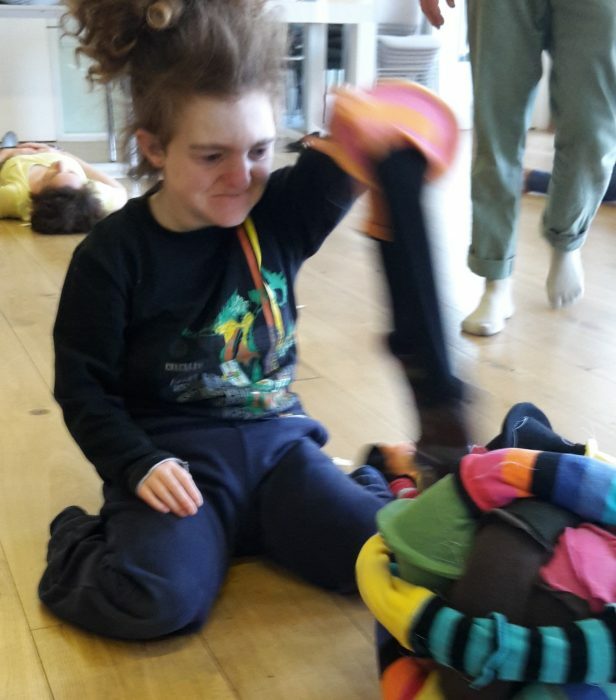 In these sessions, our members with profound disabilities and our artists develop ways of communication and creative expression together that are predominantly non-verbal, sensory, mindful, spontaneous and both emotionally subtle and vibrant. 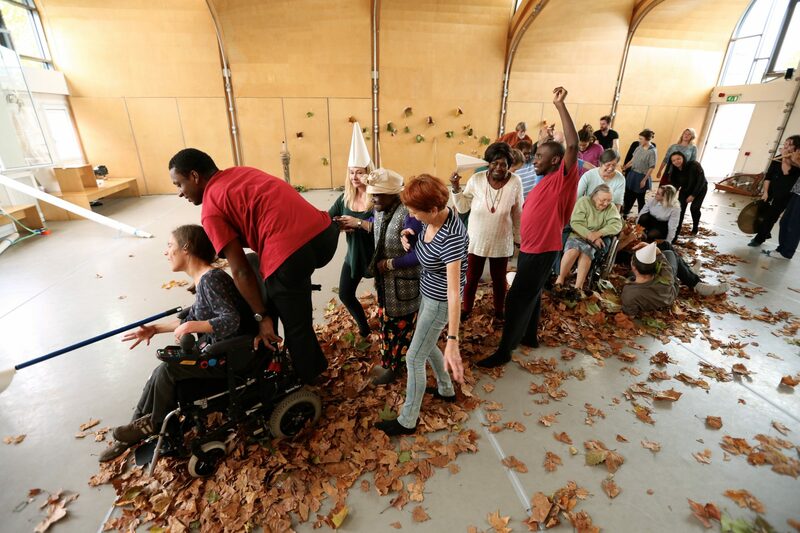 Profound disability is an umbrella term which might include people with a learning disability who may also be dual impaired, have profound autism or restricted movement. 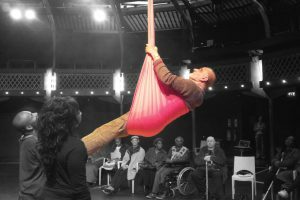 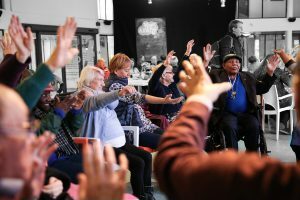 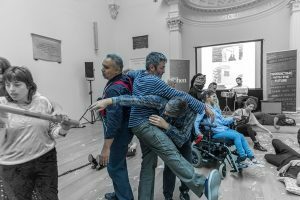 Within these weekly combined arts improvisation sessions a creative dialogue takes place between musicians and movers, with and without disabilities. 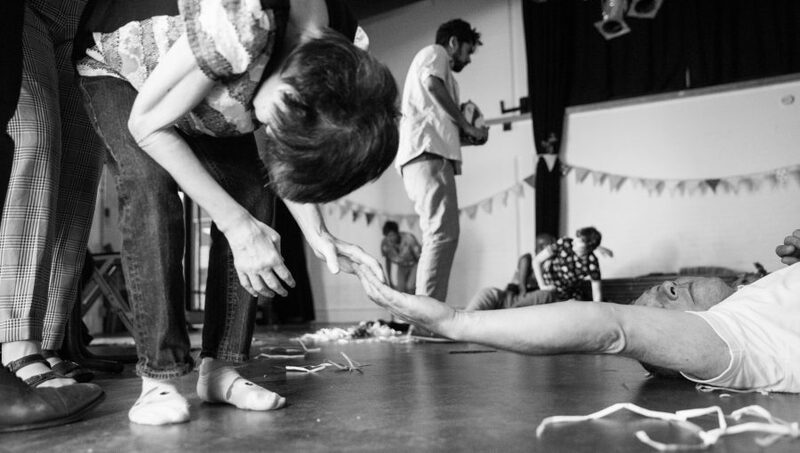 This innovative blend of live art, sound composition and dance improvisation becomes a think tank for new sensory-led arts performance events bringing Ambient Jam and this diverse ensemble out into the open. 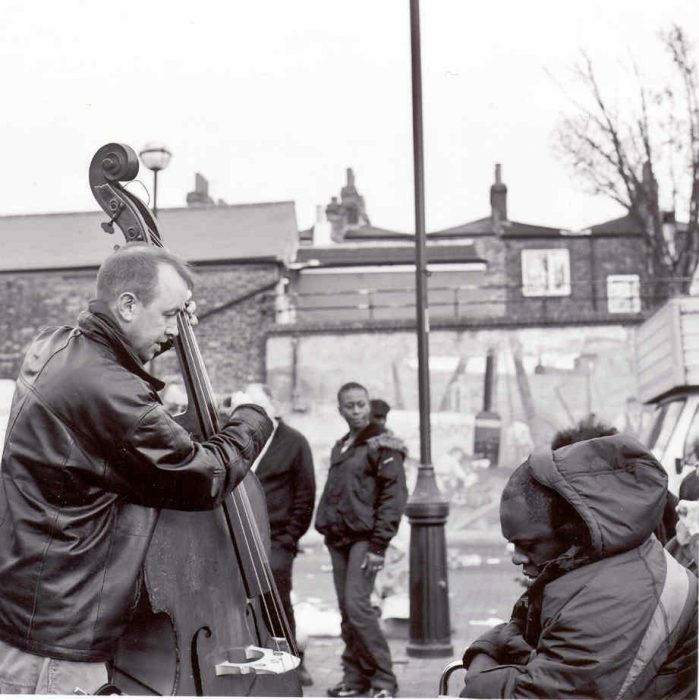 Read more about our Ambient Jam Collective. 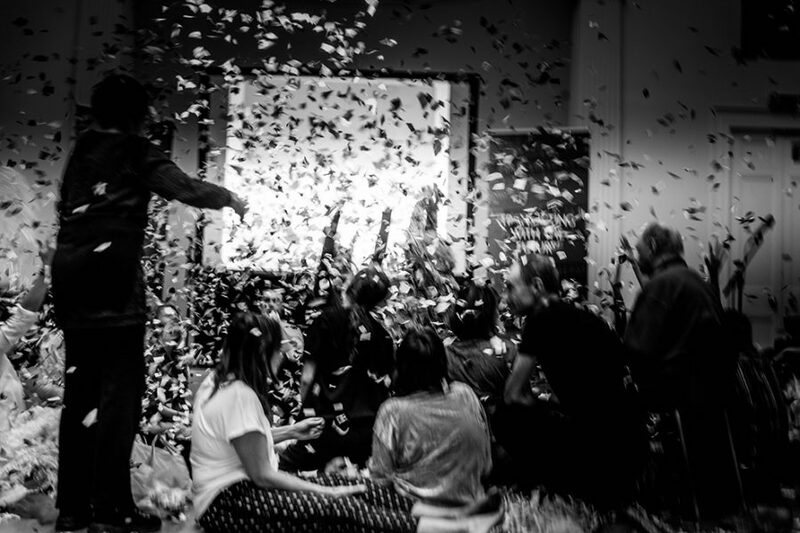 There are currently two Ambient Jam programmes with a total of 60 sessions a year. 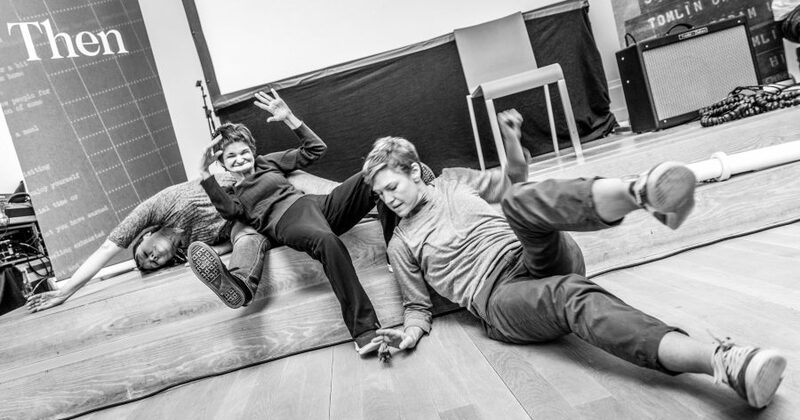 When: Monday and Friday afternoons between 2pm and 3.30pm.